First off, getting the store name can be confounding. The quickest way to retrieve this would be by looking at the login url and noting the subdomain. 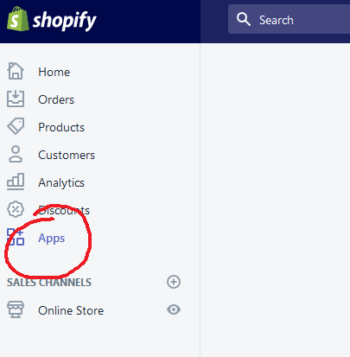 Click the ‘Apps’ link in the left-hand navigation within the Shopify client dashboard. 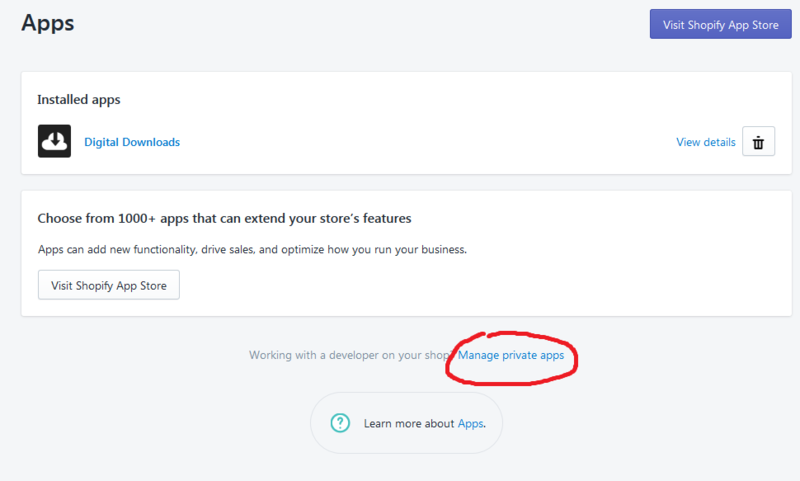 Click the ‘Manage private apps’ link from the location /admin/apps. From /admin/apps/private click ‘Create a new private app’. From /admin/apps/private/new, complete the following circled fields. Private app name can be anything the user chooses. Contact email would be relative to the client. 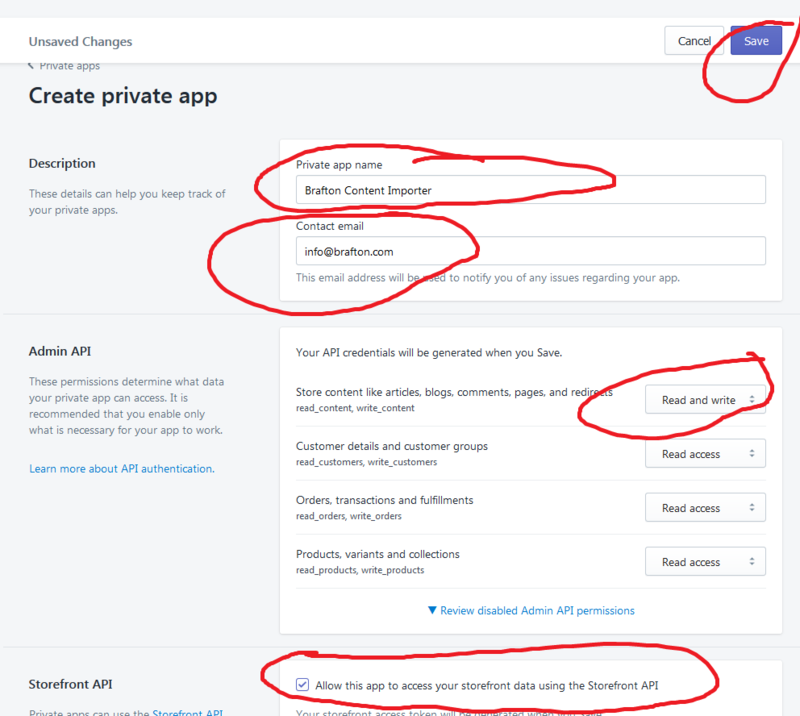 Within the Admin API section, we need ‘Read and Write’ access. All other fields can be left at their default value. 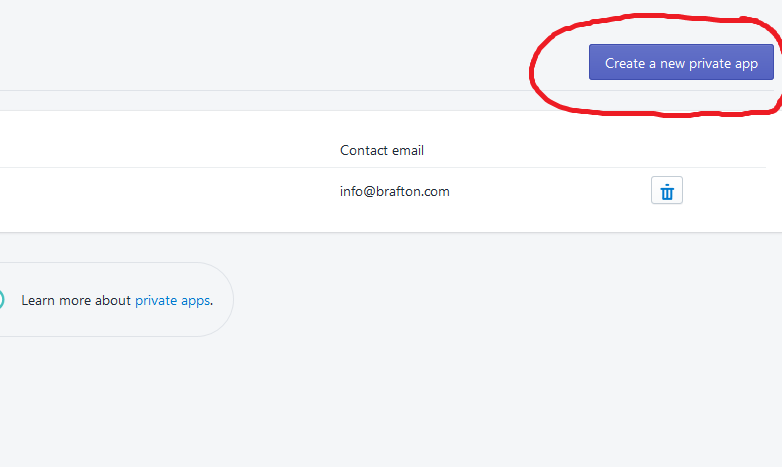 Check the Storefront API option and click save. You will be redirected to a new page for the private application. Here you will see the API key and its associated password which can be revealed by clicking the ‘Show’ link. 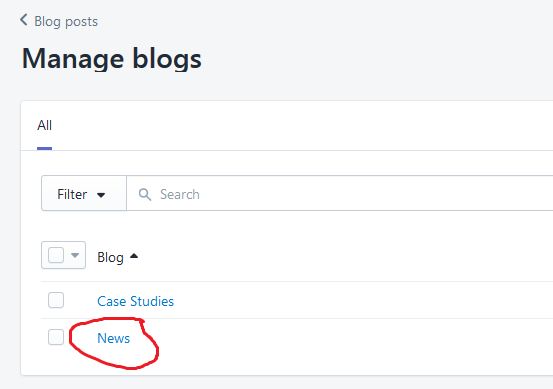 By clicking the link that pertains to the blog scheduled for integration, the blog id will be revealed in the url address bar on page resolution.